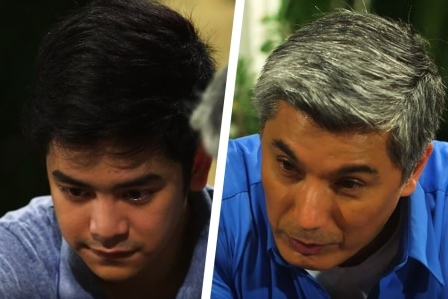 Formerly titled as "Kung Kailangan Mo Ako," ABS-CBN released the new teaser trailer of "The Good Son" now featuring the final casts. The series is lead by today's hottest young stars namely McCoy de Leon, Nash Aguas, Jerome Ponce, Loisa Andalio, Elisse Joson, Ria Atayde and Joshua Garcia. Jerome and Loisa replaced Elmo Magallona and Janella Salvador who were supposed to play their respective characters. Also in the TV series are Albert Martinez, Eula Valdez, Mylene Dizon, John Estrada, Antoinette Taus, Ronnie Lazaro, Liza Lorena, Alex Medina, Kathleen Hermosa, Jeric Raval, and Bernard Palanca. Directed by Manny Palo, “The Good Son” is said to replace “The Better Half” in ABS-CBN's afternoon block Kapamilya Gold.